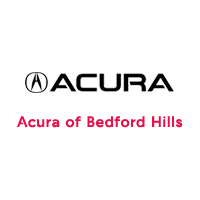 ADVANCE PACKAGE has AcuraWatch Safety Suite, which includes:* Collision Mitigation Braking System (CMBS)* Road Departure Mitigation Braking System (RDMBS)* Adaptive Cruise Control (ACC)* Lane Keeping Assist System (LKAS)* Forward Collision Warning (FCW)Clean CARFAX, One Owner.Certified Pre-Owned 2016 Acura RDX AWD w/Advance Package - 3.5L V6 SOHC i-VTEC 24V AWD.Fathom Blue Pearl with Graystone Leather Interior.Recent Arrival! 19/28 City/Highway MPGAcura Certified Pre-Owned Details:* 182 Point Inspection* Transferable Warranty* Limited Warranty: 12 Month/12,000 Mile (whichever comes first) after new car warranty expires or from certified purchase date* Vehicle History* Roadside Assistance* Warranty Deductible: $0* Powertrain Limited Warranty: 84 Month/100,000 Mile (whichever comes first) from original in-service date* Includes Trip Interruption and Concierge ServicesAwards:* 2016 KBB.com 10 Best Luxury Cars Under $35,000 * 2016 KBB.com 5-Year Cost to Own Awards2016 Kelley Blue Book Brand Image Awards are based on the Brand Watch(tm) study from Kelley Blue Book Market Intelligence. Award calculated among non-luxury shoppers. For more information, visit www.kbb.com. Kelley Blue Book is a registered trademark of Kelley Blue Book Co., Inc.